The Amazon parrot (genus Amazona) are small to medium-sized parrots native to the New World which belong to the genus Amazona. 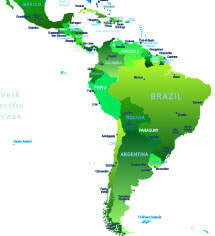 Their range extends from Mexico, Central America to South America and the Caribbean Islands. Currently, there are about 36 species of Amazon Parrots recognized by scientists (see the list of species below). The many species of Amazon parrots comprise birds of several sizes from the smaller White-Fronted Amazon to the bigger mealy Amazons or the Yellow-Headed Amazon. Amazon parrots have a predominantly green coloration, with accenting colors on their heads and wings in all the colors of the rainbow depending on the species. In the wild, these sociable parrots are very often seen in flocks or family groups. They can grow up to up to 18 inches in length from the beak to the tail feathers, being one of the larger birds commonly kept as pets. In captivity, these parrots can live for 50 years or sometimes even more, and well-trained parrots become quite loyal companions. But sometimes even the most well-trained amazons can become aggressive, particularly during the mating season. To maintain a happy and healthy amazon parrot will require much training, much more than other domesticated animals like cats or dogs. These parrots require understanding, toys, and rewards for their good behavior, or they might develop some aggressive behaviors. With an innate need to chew, they require pet safe, destructible toys. In the wild, these parrots fall prey to various predators, such as jaguars, ocelots, hawks or monkeys while snakes may steal eggs or hatchlings. Like the African grey parrot or macaws, the Amazon parrot is known for its exceptional vocal capabilities, being able to mimic the human voice and other sounds. Their most common species kept as pets are the Yellow-Naped Amazon, Turquoise-Fronted Amazon, Orange-Winged Amazon, and the Yellow-Headed Amazon. Their genus, Amazona was established in 1830 by René Lesson a French surgeon, herpetologist, naturalist, and ornithologist. This is a Latinized version of the name Amazone, which was given to these parrots by the Comte de Buffon because he believed they were native from the Amazonian jungle. ​Amazon parrots feed primarily on seeds, berries, nuts, and fruits sometimes supplemented with the leafy matter. During the breeding season, they are more prone to eat some insects or small animals. In captivity, they are fed commercial seeds or pellet mixture usually supplement with fruits and vegetables. The many Amazon parrot species usually mate for life, they only change mates if one of them perishes or abandons the nest. The breeding season usually occurs in the spring. Normally they will build their nests in tree cavities either naturally occurring or excavated by other species. The pairs engage in mating dances characterized by extension of the wings and tail and coordinated bows. The incubation period and the number of eggs in a clutch also vary among species, but usually, three or four eggs are laid, which are incubated for 25 to 30 days. Normally only one clutch per year is laid. After hatching the chicks will leave the nest at about 2 months of age. The Amazon parrots reach sexual maturity at about 3 to 4 years. With their remarkable ability to mimic human speech or other sounds (they have become quite popular as pets. To meet the demand an entire industry has developed with the captive breeding of these parrots. However, this popularity wasn't without consequences with many specimens being collected from the wild which threatened the survival of some species of Amazon parrots. The main threats to them are the loss of habitat through agriculture and poaching. Today the capture of wild parrots for the pet trade is considered illegal since they are now listed in CITES Appendix II (Convention on International Trade in Endangered Species). 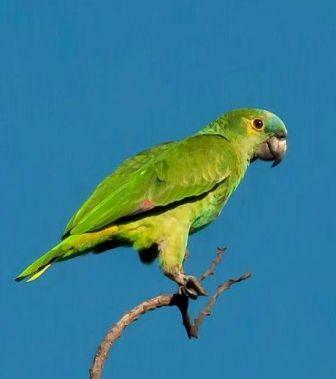 One of its species the Ecuador Amazon parrot (Amazona autumnalis lilacina) is among the rarest birds in the world. There probably as few as 600 of these parrots left in the wild. The Nile monitor is largest African lizard and a voracious predator.